Does the sound of your car keys jingling make your dog excited? Do the words ‘car ride’ send them into a frenzy? Many dogs love the excitement of a ride in the car. It’s fun for them, and we want to make sure that the fun ride is also a safe one. 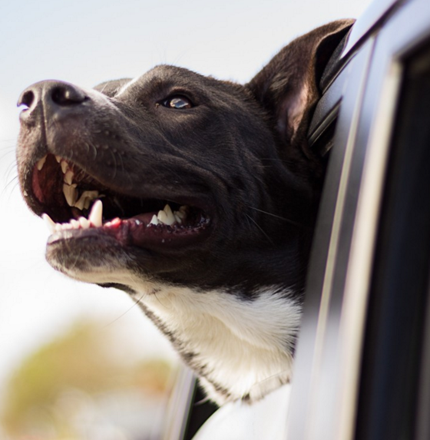 Whether you’re going across town, or across the country, here are a few tips for you to keep your furry friend safe while they’re on the go with you in the car. This is sound advice, whether during the holidays or throughout the whole year. I know most pets don’t like being in a crate, but this is really the best place for them while traveling. Make sure your crate is large enough for them to fully turn around. 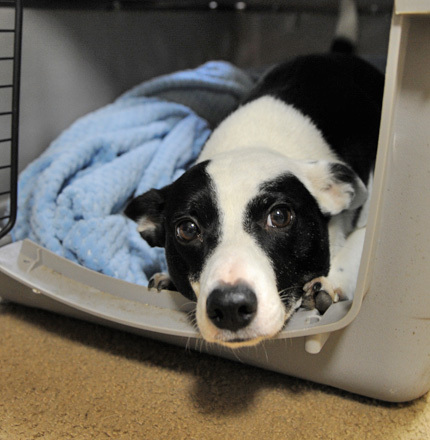 Line the base of the crate with a blanket or pet bed for their comfort. Make sure you don’t act like the crate is a punishment, as they’ll resist getting in. Put their favorite toys or a small amount of food or treats in there so they’re enticed to enter, and don’t think of the crate as a punishment. You’ve probably seen lots of cute dogs with their heads out the window cruising down the road. Sure, it’s cute, but it is also dangerous. Don’t allow your pets to do this. If you must come to a sudden stop, or rear-ended, the injuries to your pet would be traumatic. Keep the windows up, and if you have a window lock, turn it on, so your pet doesn’t accidentally roll down the window. Don’t keep your dog in the car unattended. Ever. Not for a minute. Not in the shade. Not with the windows cracked. Not ever. If you know your destination (a store, restaurant, etc.) does not welcome pets, don’t take them with you. Keeping these tips in mind will make your next trip with your pet an enjoyable and safe one.